Supplier & Trader of DM Plant. Our product range also comprises of Water Fountain, Swimming Pool Filtration Plant and Swimming Pool Equipment. Our organization is counted among the noted traders and suppliers of a broad range of precision engineered DM Plant. Fabricated with finest quality material using recent technology such as demineralization process, these plants are widely used for removing the mineral salts from water by ion-exchange methodology. 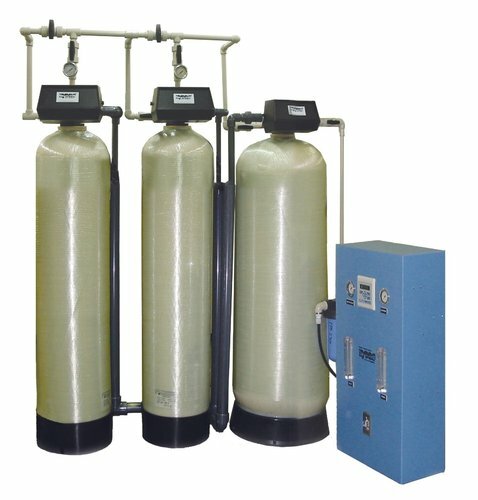 Designed in compliance with industry defined norms and parameters, these plants are used in various industries and sectors for efficient purification of water and make it perfect for different purposes.